Official Salvation Army operations began in July of that year when Major Thomas Moore arrived from the U.S. headquarters to take charge. By then there were 11 ‘corps’ or church congregations in Ontario, and a year later Canada was declared an independent ‘Territory’, responsible for its own governance within the worldwide organization. From the beginning, the Army in Canada adopted founder William Booth’s philosophy that there is little point preaching ‘salvation’ to hungry people. And so the concept of ‘soup, soap and salvation’ took hold, later to be developed into the comprehensive social service programs The Salvation Army operates today. The Salvation Army’s status in Canada was entrenched in law in 1909 when parliament passed an Act giving the organization legal standing, its governance to be conducted by The Governing Council of The Salvation Army in Canada, a structure that continues to this day. In 1914 the Army shared in the national tragedy of the sinking of The Empress of Ireland in the St. Lawrence. On board were more than 150 Salvationists, bound for an international congress in London. Most of them, including the national commander and members of the Canadian Staff Band, were drowned. The Staff Band was not re-formed until 1969. Innovation in social services continued even as the organization matured: the first seniors’ residence, or Eventide Home, was opened in Edmonton in 1926, and Grace Hospitals were opened in major cities across the country. In the post-war years further social service innovations included an anti-suicide bureau and victim witness assistance programs, the latter eventually being absorbed by the criminal justice system. The Canadian Salvation Army has produced many outstanding leaders, not only for the domestic scene but also for the international movement. In 1975 Clarence Wiseman was elected General (international leader) of The Salvation Army, to be succeeded in 1977 by Arnold Brown. Bramwell Tillsley became General in 1993, but had to retire the following year due to ill health. In 2011 Linda Bond became the 19th General of The Salvation Army that currently has more than a million members and serves in more than 120 countries. The Salvation Army is now the largest non-governmental direct provider of social services in the country, serving over 1.8 million people each year, in 400 communities across Canada. 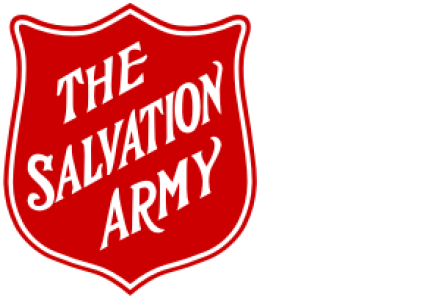 The Salvation Army offers practical assistance for children and families, often tending to the basic necessities of life, provides shelter for homeless people and rehabilitation for people who have lost control of their lives to an addiction. Furthermore, The Salvation Army’s Christmas Kettle Campaign has raised funds for more than 120 years to meet its demand for services. The Campaign has grown into one of Canada’s most significant and recognizable annual charitable events. To accommodate the changing times, The Salvation Army in Canada continues to evolve. While the same values and goals still exist, new, innovative and effective programs such as community kitchens, skills-training and addictions day-treatment programs are addressing rising community needs.